Facebook Inc (NASAQ:FB) has attracted several lawsuits in the past few years and this time, the social media company is in trouble for scanning user’s messages. 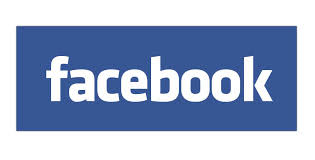 A California District Judge overruled Facebook’s request to terminate the lawsuit. Under the lawsuit, the social media company is accused for scanning messages sent by its users and using the data for advertising purposes. Facebook Inc (NASDAQ:FB) came out with the argument that the Federal Electronic Communications Privacy Act has exceptions allowing the service providers to practice such activities under ordinary course of business. However, U.S. District Judge, Phyllis Hamilton, overruled the argument stating that the company didn’t offer adequate explanation to support its practices under the regular course of business. Matthew Campbell filed the lawsuit in 2013 stating that Facebook Inc (NASDAQ:FB) kept a record of website links shared by users with the private message feature of the platform and this data was used for advertising purposes. In its defense, Facebook said that the practice had been stopped in October 2012 itself, although the company agreed to scan messages to identify spam and virus problems. Earlier, Facebook Inc (NASDAQ:FB) collaborated with the National Football League to promote its online video services. The social media platform’s video feature is already gaining significant momentum among the advertising campaigns of major brands. Under this partnership, NFL would post game videos, highlights, football news, and football advice for NFL fans on Facebook. These videos and news feeds would generate advertising revenue by displaying adverts from Verizon Communications Inc. (NYSE:VZ) and the revenue would be shared by both the partners. A spokeswoman for Facebook said, “This is a small video sponsorship test, and we will be evaluating how people, publishers, and marketers respond to this kind of co-branded video content on Facebook.” According to market specialists, this is an exciting deal for the social platform concerning the fact that NFL has no official YouTube channel and it does not allow posting of its videos on social platforms.